Established in 1985, Spring Hotels Group is a Spanish corporation currently formed by three 4-stars hotels located south of Tenerife. 1076 rooms are distributed between Arona Gran Hotel, Hotel Bitácora and Hotel Vulcano. These hotels work with the determination to purvey unforgettable holiday experiences by providing an excellent service based on a quality product and, especially, on a big team of people characterised by their passion, professionalism and reliability. 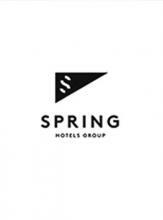 In the last few years, Spring hotels has fully renewed its corporate identity and refurbished its establishments by incorporating design to its brand culture and boosting its relationship and specialization in Tenerife as key element for standing out amongst the big chains that operate in destinations like this. Its corporate slogan is proof of that: “Tenerife at heart”. Spring Hotels is experiencing a process of modernisation. 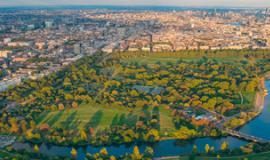 During the last few years, it has stood among others in the hotel industry thanks to its compromise with innovation. For example, it is the first hotel chain in incorporating Artificial Intelligence into customer experience: they have recently launched Mr. Spring, the first virtual butler in this business.